Mary Mother of God appeared to three shepherd children in Fatima, Portugal six times, every 13th of the month, May 1917 through October 1917. On May 13th, 2017, in honor of the 100th anniversary of the apparitions, St. Vincent Ferrer Parish was consecrated to Our Lady of Fatima. Join us again to renew our consecration this year on Saturday, May 12th, 2018 at the 5:30 PM Mass. A Rosary and Divine Mercy Chaplet Procession around the campus will follow Mass. 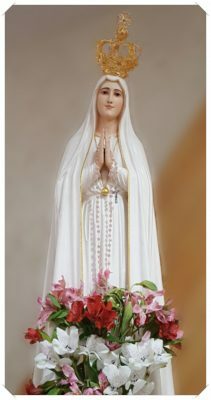 Want to learn the Story of Fatima?